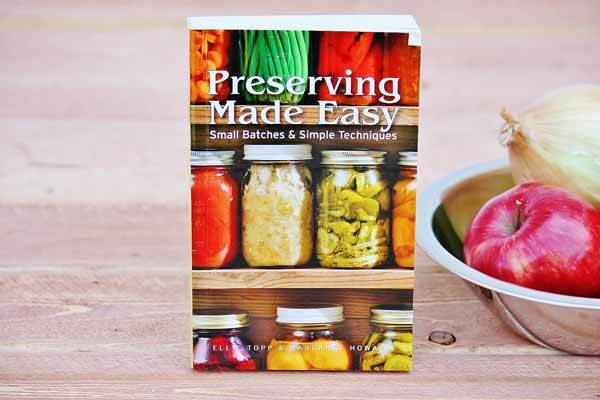 For cooks on the go who need a quick and simple preserving book for reference. Discover the joy of preserving delicious fresh fruits and vegetables all year round. Learn how to make small batches of classic recipes with new modern twists. They are sure to become staples in your pantry kitchen. You will find recipes like No-Cook Raspberry Pineapple Spread, Chunky Tomato Salsa, Winter Salad Pickles, and Chili Herb Garlic Vinegar. These recipes--all thoroughly tested and perfected--were selected for their delicious taste and ease of preparation. Each recipe offers something special--an innovative twist on an old favorite, an inspired way to mix and match flavors or a new tip to make the whole process easier and more fun!